If this is your first time hearing the term “white paper”, or you’ve heard it used in a different context if you come from the academic or nonprofit worlds, you’re in the right place. White papers were originally legislative documents outlining proposals and solutions but they have a totally different meaning in the content marketing sphere. White papers are a type of long-form content meant to inform, educate, and engage and they are among the most research-heavy types of content assets. They are authoritative documents that convey a problem and solution with plenty of research and facts to back up the claims made. Subsequently, white papers are a popular asset type for B2B marketing especially in tech and professional services, although that isn’t their only purpose or application. If you’re looking to start writing white papers, here’s what you need to know about crafting one that informs and resonates with the client’s intended audience. If you come from an academic or professional research background, you might be thinking of white papers as long processes with lots of primary research like surveys, interviews, statistical sampling, and so on. You don’t have to do that in the content world for the most part (unless you charge the right price and the client understands how much more involved and drawn out the process is.) The client might provide primary research like surveys they commissioned and case studies and testimonials from existing clients, but the majority of your research will come from secondary sources that are authoritative. For example, authoritative references when writing about tax law include direct sources like materials from the IRS and state tax departments, Tax Court proceedings, the Internal Revenue Manual, and trusted professional journals like Journal of Accountancy. Additional publications and contributions from other tax professionals could be cited where appropriate, but the backbone of a white paper about tax problems should be authoritative sources. White papers require more research than other asset types, so they’re an excellent opportunity to sharpen your research skills. White papers can be about a product/solution but their chief purpose is to inform and demonstrate authority as opposed to selling. E-books give you a little more freedom for sales talk as they can function more like a giant blog post while white papers need to stay consistent with an authoritative tone. Diligent research and fact-checking helps back up that authoritativeness. The tone needs to be informative and authoritative but also persuasive. What is the problem at hand? How can it be solved? What do other authoritative sources have to say about it and what kind of statistics can back up those claims? Length is a strength when it comes to white papers. HubSpot suggests that six pages is the absolute minimum for an impactful white paper. They have some excellent tips for how to structure and format a white paper as well, including the fact that white papers work so well because they’re intended for people who already pretty deep into the sales cycle. 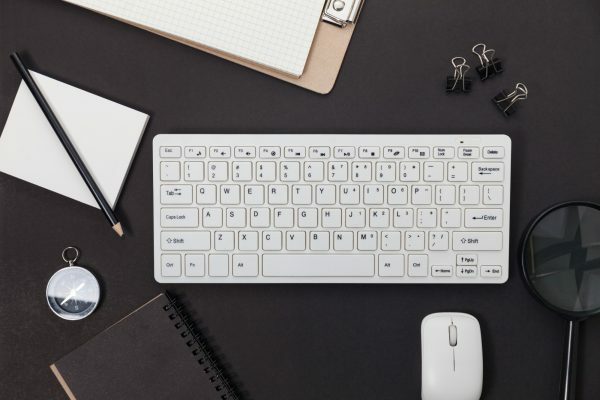 If you tend to get wordy and have to frequently cut down your blog posts, sales copy, and other writing that needs to be short and to the point, white paper writing just might be the thing for you. While you don’t want to fill it with fluff or get repetitive just to make it appear longer since it needs to be authoritative and establish credibility, lengthiness is still overall an indicator of quality when it comes to white papers. The audience for white papers consists of people who want to learn more about the particular topic as well as the proposed solutions to the problem opposed to looking for a quick answer to a simple question. Therefore, they want lots of information and citations from authoritative resources and/or any primary research that the client has already done. The length should still indicate the kind of high-quality information and fact-checking that makes the claims in the white paper both plausible and believable, but you don’t need to worry about keeping things on the short side. With that said, white papers for content marketing purposes are still a fraction of the length of academic white papers that can easily be 100 pages or more. 10-15 is a good length for most case study types of white papers, no more than 30-40 for content with a large amount of primary research. White papers are also good for SEO and providing additional incentives for mailing lists, and will continue to be a powerful lead generator.